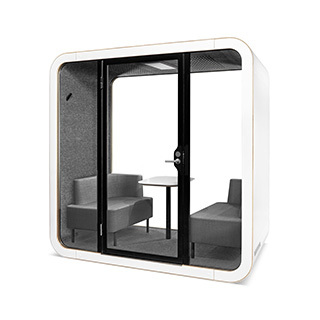 Framery Q meeting pod allows people to have meetings, brainstorming sessions and important one-on-one conversations in private without disturbing the whole office. The Q has four layout options to satisfy different user needs. 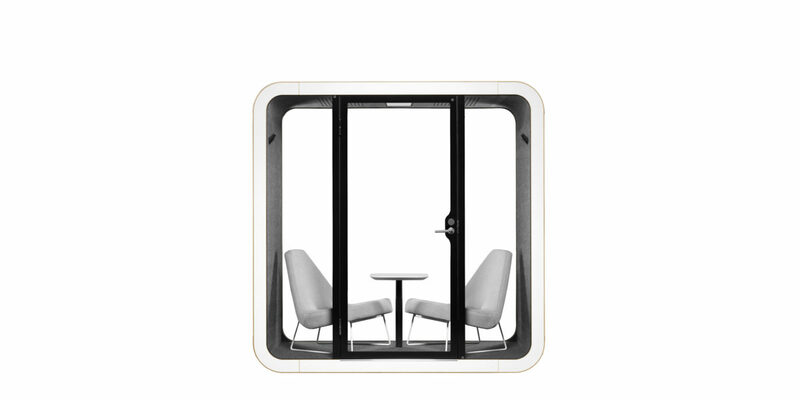 Meeting Maggie is designed to house meetings and discussions, it is luxurious for two, but more people can step in. Working with PAL is a co-working space for two to three persons, where everyone is facing the same direction. This makes it perfect for teamwork and joint video conferences. Betty’s Café is the place to relax and talk in depth, optimal for job interviews and performance appraisals. 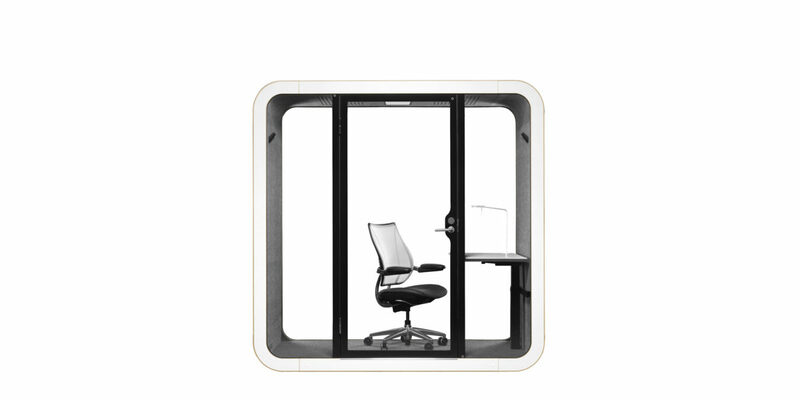 Me Time is your private office, the ultimate space for having concentrated and detailed work. Just like the O Phonebooth, Phonebooth Q has all the equipment needed for your convenience. 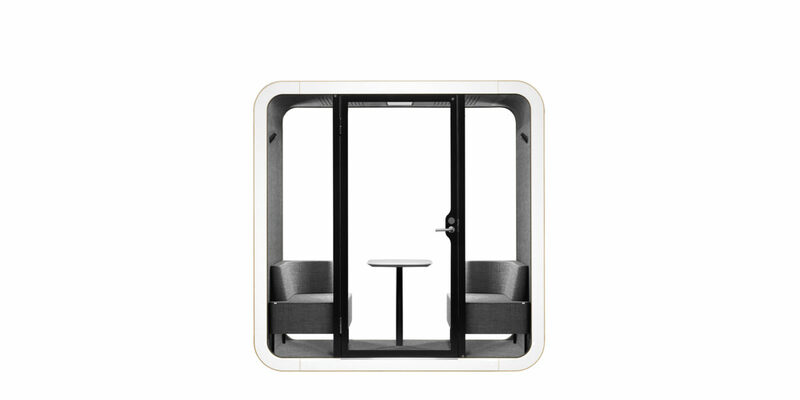 Phonebooth Q has multiple color and accessory options and can be installed in any space without massive work.